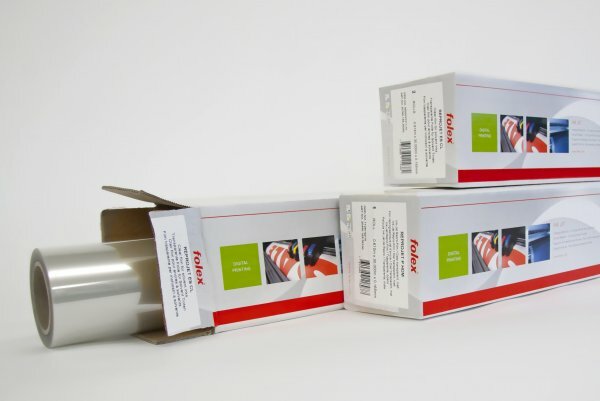 A top coated clear static cling film for high resolution photographic posters, mock ups, signage, decals, point of sale displays, signs and labels. A soft back layer clings without any adhesive to clean smooth surfaces like glass, plexi-glass, polished metal or furniture. This film can be repositioned without leaving any adhesive residue. It gives excellent flatness and colour contrast reproduction even when using high levels of ink, reducing the possibility of material distortion. The film offers excellent handling, tough dimensional stability and is tear resistant. Images dry quickly.